Custom bookcases and cabinets can bring functionality, charm, and valuable storage space to an otherwise plain home, office, or library. They are also ideal for recreation rooms and master bedrooms. Custom bookcases and cabinets do not need to be limited to just storing books and knick knacks, however. They can also be designed and built to function as entertainment centers for housing media equipment and for desk work space area. They are a great way to display family photos and personal treasures. The custom design can be wall to wall, built-in or free-standing. Danner’s offers Custom Built-in, Free-standing or Wall Unit Bookshelves that are custom sized to your space, needs, and specifications. When specifying custom book cases and cabinetry there are a few key design items you should carefully consider. First and foremost is flexibility. Custom built-ins are designed as permanent fixtures to a home or room. 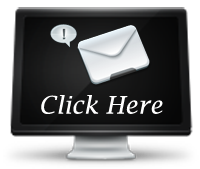 Consequently it is important that they stand the test of time and can be easily adapted for different applications. As a result, shelving height, for example, should be adjustable in custom built in bookcases and cabinets. Another consideration when spec’ing out custom cabinets and bookshelves is to include an adequate combination of open and closed shelving. For example, with many wall to ceiling custom bookcases, the upper half may be open bookshelves for easy viewing and access, and the lower half closed door cabinetry for hiding items. 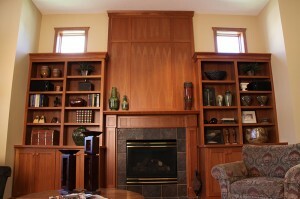 Architectural design and placement is another consideration when specifying custom built in cabinets and bookshelves. It is important that the bookcases and cabinets blend in well with the surrounding wall and room surfaces. For example, the inclusion of custom built in bookcases on either side of a fireplace is a common placement style we often get requests for. Home offices have evolved in the last few years to a space where we spend a lot of our time, and we want it to be a comfortable environment. Our shop builds a variety of home office bookshelves including storage drawers, desks, and file cabinets. You may also decide to opt for free-standing style cabinets. They are not attached to walls; therefore, you can take them with you if you ever happen to move. Many of our customers simply couldn’t find what they wanted in their local furniture showrooms. Some of them required a new bookshelf that blended with their existing furnishings. Some had a specific size and/or material requirements. Many of our customers just desired a superior product than what is offered locally, and still others want something truly original. If you’d like to add a little “Pizzazz” to your home with custom bookshelves, contact Danner’s Cabinet Shop today at 763-753-4002. We can provide cabinet designs fill those spaces which you’ve designed for optional cabinetry. From built-in bookcases, floor-to-ceiling bookcases, to complete library cabinets, unfinished, painted, or stain grade, we can help you choose!